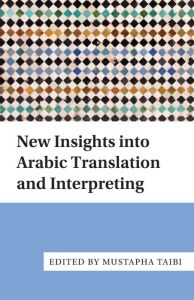 I took time out from writing fiction last year to contribute the introduction to this new book, edited by Associate Professor Mustafa Taibi from Western Sydney University. In writing the introduction I took the opportunity to honour the memory of the Iraqi scholar Dr. Safa Khulusi, whose Arabic classes I attended at the Polytechnic of Central London in the seventies. The invitation to write the introduction evoked warm memories of academic colleagues, teachers, and students from the Arab World. You can read a sample of the book by clicking the Look Inside button here. Learn about Stuart Campbell’s novels here. Where could I read that intro? H.